Barrick Gold Corporation (NYSE:ABX) +1.60% the world’s largest gold producer by output, reported a decline in first-quarter profit on lower commodity prices but lowered it cost forecast for the full year, offering a rare bit of good news for investors Barrick also said that it is continuing to evaluate all alternatives for its flagship Pascua-Lama gold-and-silver mine on the border of Chile and Argentina, including the possibility of suspending the project. Barrick shares closed up $1.32, or 7.5%, at $18.91 in New York Stock Exchange composite trading. Despite the investor enthusiasm, shareholders at the company’s annual meeting here Wednesday voted against Barrick’s executive-compensation proposals, in a nonbinding, but symbolic, protest vote against a $17 million pay package for the company’s new co-chairman, John Thornton. Barrick Gold Corporation (NYSE:ABX) said it would “carefully consider” an unprecedented rejection by shareholders of the company’s executive compensation plan on Wednesday, even as management strongly defended a record payment given to the co-chairman. The rejection at Barrick’s annual meeting here was a direct challenge to a board that last year agreed to pay US$17-million to co-chairman John Thornton, which included a staggering US$11.9-million signing bonus. Barrick founder and chairman Peter Munk was defiant during the meeting, defending his company’s decision to bring on Mr. Thornton, a former president at Goldman Sachs Group, Inc. (NYSE:GS). Barrick Gold Corporation (NYSE:ABX) +1.50% has mined gold for 30 years, and many of the small investors who’ve been with it from the start are keeping faith in both the company and the yellow metal. But some of them are divided on the future of another Barrick constant–Chairman and Founder Peter Munk. Barrick’s retail investors gathered in force at the company’s annual meeting in Toronto Wednesday, eating Vietnamese spring rolls and Stilton cheese while talking gold and other company-related matters. Barrick Gold Corporation (NYSE:ABX) president and CEO Jamie Sokalsky on Wednesday revealed that the company is in a dialogue with Dominican Republic’s authorities over the Pueblo Viejo mining contract, local media report. 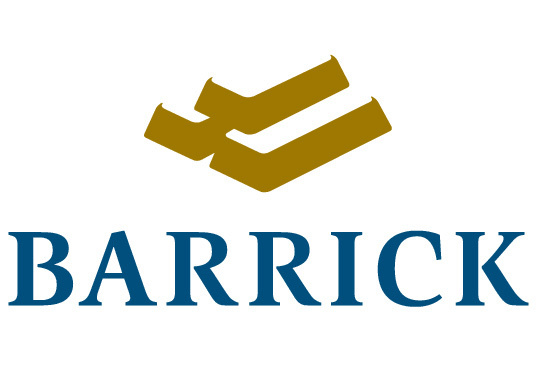 In a statement, the executive said the net profits for Barrick, the world’s biggest gold producer, were US$ 847 million in the first quarter, or 18.5% lower than the same year ago period. Barrick said its 60% stake in Pueblo Viejo earned it 96,000 ounces of gold during the quarter. The remaining 40% is held by Goldcorp. Analysts at Scotiabank decreased their price target on shares of Goldcorp (NYSE: GG) from $47.50 to $40.50 in a research report issued to clients and investors on Wednesday, Analyst Ratings Network.com reports. A number of other firms have also recently commented on GG. Analysts at Deutsche Bank AG (NYSE:DB) cut their price target on shares of Goldcorp from $31.00 to $28.00 in a research note to investors on Monday. They now have a “hold” rating on the stock. Separately, analysts at Barclays Capital cut their price target on shares of Goldcorp from $50.00 to $40.00 in a research note to investors on Monday. They now have an “overweight” rating on the stock. Finally, analysts at RBC Capital cut their price target on shares of Goldcorp from $49.00 to $36.00 in a research note to investors on Friday, April 19th. They now have an “outperform” rating on the stock. Canada’s main stock index jumped more than 1 percent on Wednesday, its sharpest one-day percentage gain in more than eight months, as higher commodity prices fueled a rise in shares of gold and oil and gas producers. The surge in gold-mining shares, which have languished this year, played the biggest role in driving up the market as they rose about 7 percent as physical buyers scooped up the precious metal on the back of a recent selloff. …Miner Goldcorp Inc. (NYSE:GG) rose 6.4 percent to C$30.25. Energy shares climbed 2.3 percent as oil prices rose. Shares of Cenovus Energy, Canada’s No. 2 independent oil producer, rose 2.1 percent to C$29.36 after it posted a quarterly operating profit that beat analysts’ estimates. ThePennyStockProfiler, an investment community with a special focus on updating investors with recent news on the U.S. stock market, issues news alert on the following stocks:- Goldcorp Inc. (NYSE:GG) increased 6.05% and closed at $29.43 on a traded volume of 8.05 million shares. So far this year, the stock is down over 17%. The 52-week range for the stock is $27.11 and $47.42. Goldcorp Inc. (NYSE:GG) is a gold producer engaged in the operation, exploration, development and acquisition of precious metal properties in Canada, the United States, Mexico and Central and South America. NovaGold Resources Inc. (NYSEAMEX:NG) fell 0.42% and closed at $2.39 with a total traded volume of 4.78 million shares in comparison to the 30 days average of 3.39 million. The share closed below its 50 days moving average of $3.60. The stock ranged in a price band of $2.34 and $2.48, after having opened the day at $2.41 as compared to the previous trading day’s close of $2.54. The RSI of the stock is 22.76. NovaGold is ahead of its 52 week low 6.31%, the previous month return for the stock was -39.24% and its last month price volatility remained 7.15%. The long 200 days moving average is trading above the short 50 days moving average reflecting that the chart is technically weak. The total market capitalization is $749.61 million. Its beta coefficient was 1.50 with a target price of $8.04. The return on equity and return on asset of the NovaGold Resources Inc. (NYSEAMEX:NG) are 6.71% and 4.87% respectively. The total floated share in the market is 226.28 million shares as compared to the total 316.64 million outstanding shares of NovaGold.